Big Bike Parts® brings enhanced safety and visibility to the Kawasaki VN1700 Voyager/ Vaquero with these new LED Turnsignal Visor Trims for the front speakers. 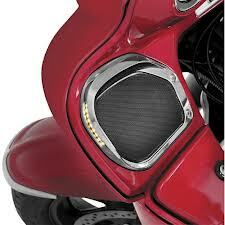 Big Bike Parts® has embedded an amber LED strip into the outside edge of each speaker trim to provide side visibility. They act as running lights same as the front position lights and become turnsignals when turnsignals are engaged, enhancing side visibility and safety. 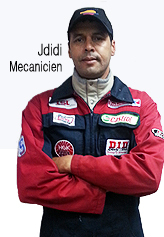 Fits Kawasaki VN1700 Voyager and Vaquero.